I wanted to compliment you on a great product (i.e. Rice Cakes)! I have a gluten intolerance, and have been eating rice cakes for a while now. 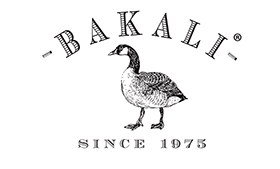 Of all the brands I’ve tried, I must say that the Bakali rice cakes are, without a doubt, the best! It stays fresher for longer; it’s thicker than most; has a wonderful crunch; tastes fantastic; is value for money (in comparison to some of the other brands, & has been my brand of choice when it comes to rice cakes!!! Thank you for making a great rice cake!